I had a pretty big breakfast today. 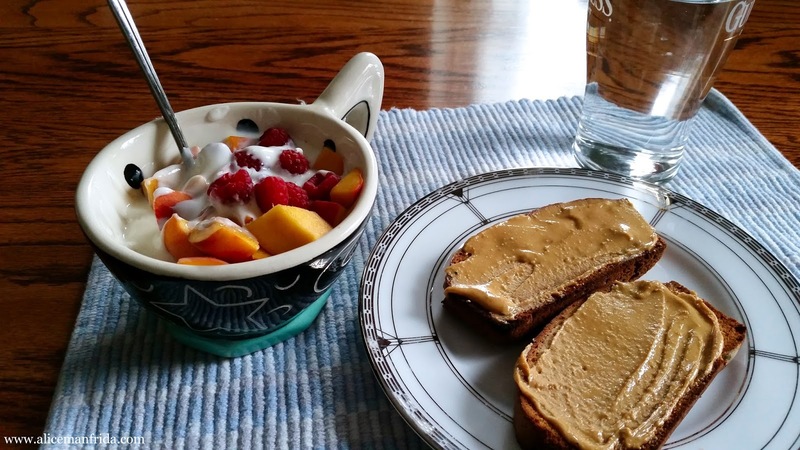 I had banana bread with peanut butter and vanilla yogurt topped with a peach and raspberries. This was also my second glass of water for the day. Lunch was just left over Chicken Pad Thai that we got the night before. Two snacks today! These were spread out during a long afternoon stretch between lunch and dinner. 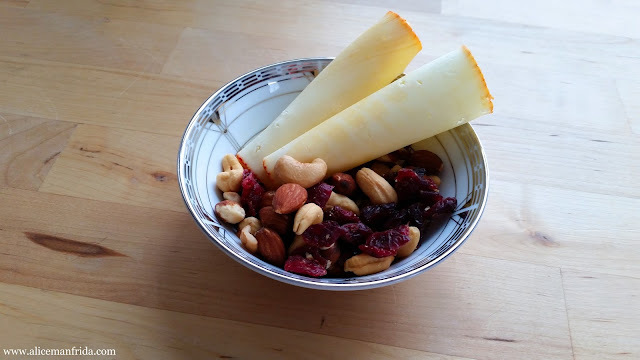 I went for the healthy and filling option of nuts and dried cranberries along with a couple of slices of cheese first. For my second snack later I went for some potato chips. 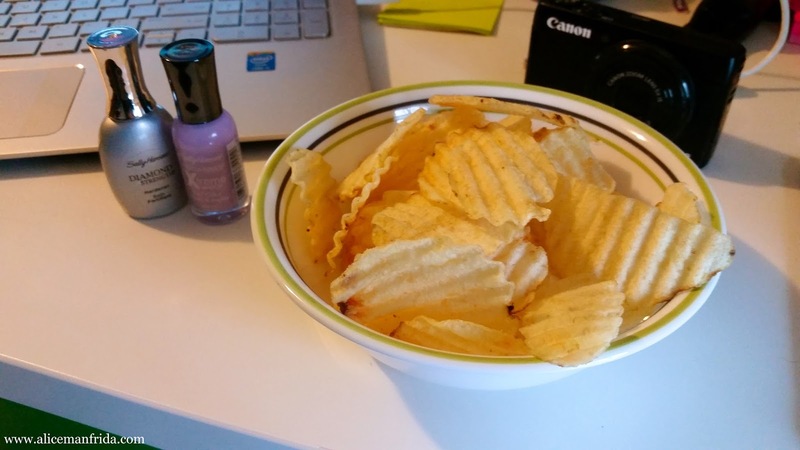 I had those while I was taking a little break from editing videos and I also painted my nails. 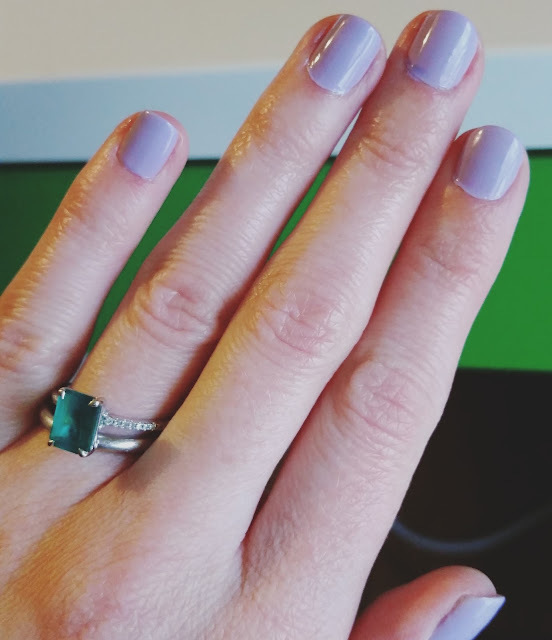 I used the Sally Hansen Diamond Strength Hardener as both the base and top coats. For the color I chose the Sally Hansen Hard as Nails Xtremewear in No. 270 Lacey Lilac. Pasta with meat sauce is a standard dinner at our house. 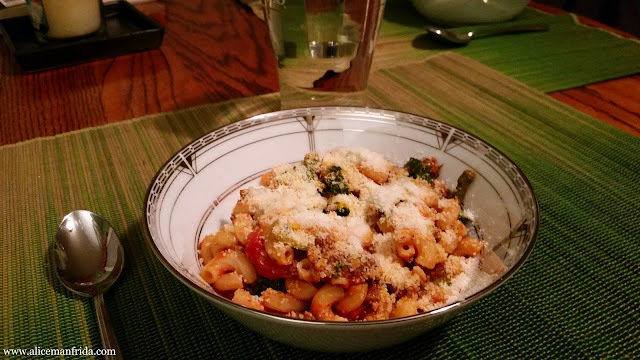 We had elbow macaroni so we added ground beef, a jar of sauce and lots of veggies. There is green pepper, onion, garlic, asparagus and kale in there...along with lots of Parmesan cheese! 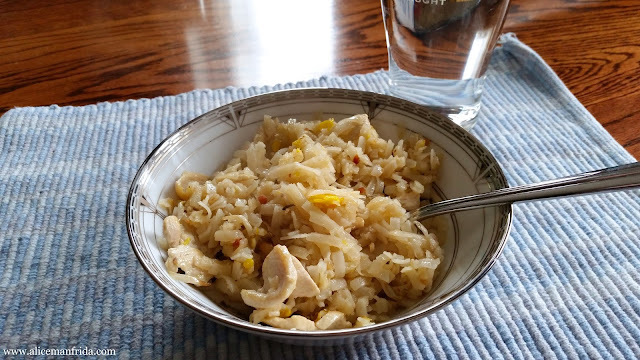 This is the best way to use up veggies that are hanging out in the fridge before they go bad. I did something a little different this week on YouTube and filmed a Trader Joe's Grocery Haul instead of filming what I ate.